Add all ingredients to the bowl and mix well. Taste and adjust the seasoning, adding more or less of anything per your palate. Now spread two tsp of this mixture evenly on one side of bread. 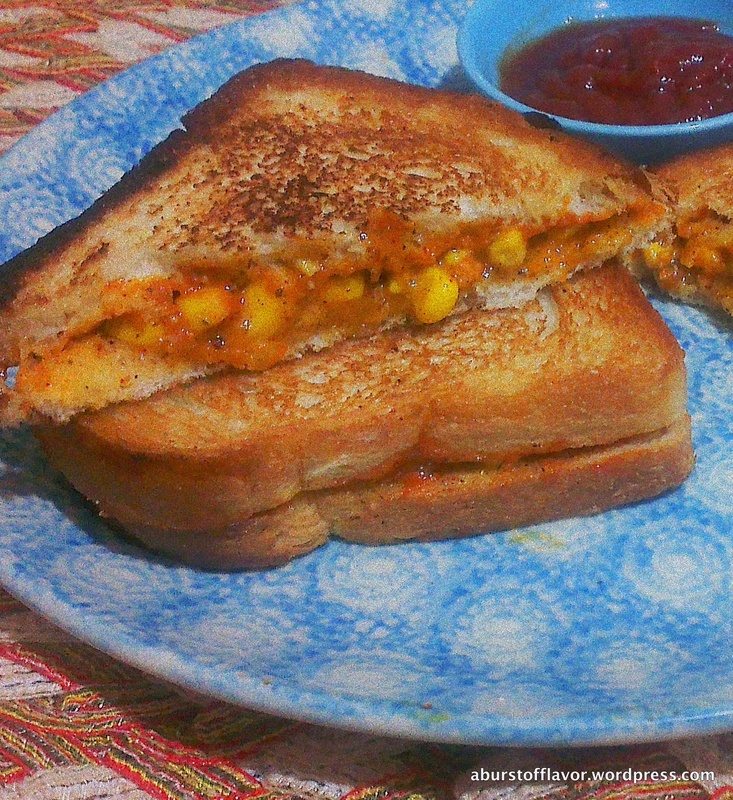 Spread the tomato chutney on the other slice of bread. Bring the two together to make a sandwich. 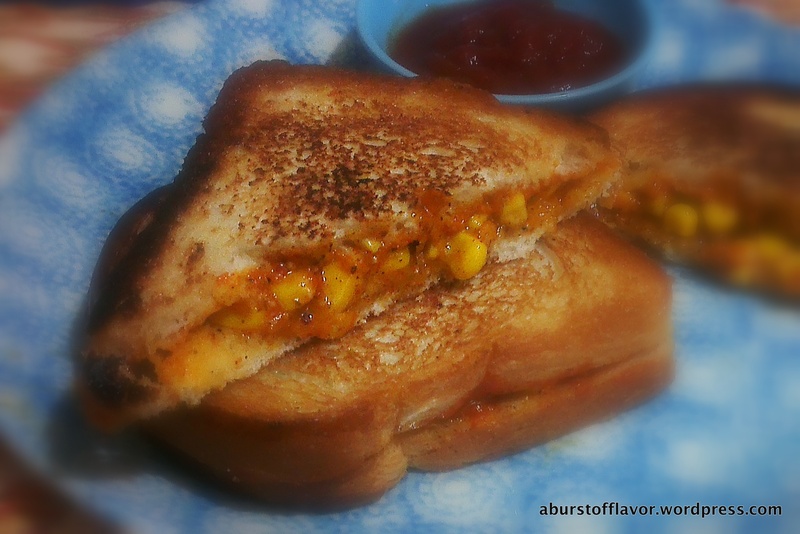 Toast the sandwich with some oil/butter on a hot griddle pan or tawa until golden brown. Flip to the other side and repeat until golden.